Step 1. Tap and Hold down on your current watch face. 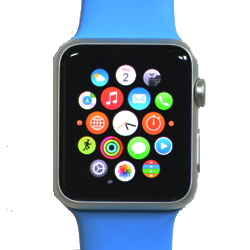 The watch faces gallery is shown. Swipe across the screen to see more faces. In this demo we select "Motion" face.